Simtalapis | KIBINAI – national heritage. No freezing. Kibinai are cooked and baked immediately. We speak Lithuanian, English, Polosh, Russian . Simtalapis is the most delicious dessert dish, Tartar cake in Lithuanian cuisine. We can say that, according to its origin, the simtalapis is close to the kibinai. 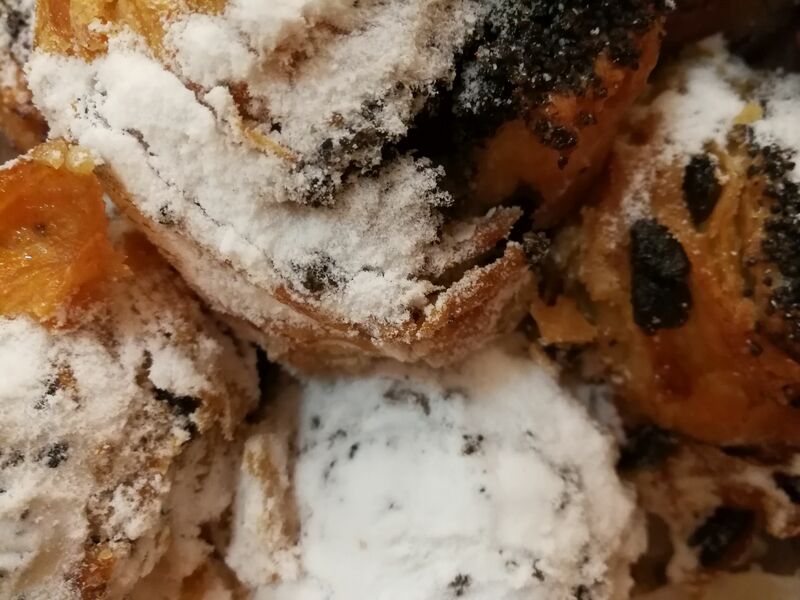 People, who eat kibinai, for the dessert often prefer not kibine with sweet stuffing, and namely, simtalapis. The technology of simtalapis production is quite complicated, but if you succeed in making it, it’s a really delicious flavor cake that holds its weight in the true sense of the word. Therefore, real simtalapis is heavy, very tasty cakes. We offer simtalapis with natural ingredients. Because the simtalapis is heavy, this size is not the most important; even from a very small piece, you can enjoy and thrive in the fabulous tastes of the sea. High quality cake cannot be artificially inflated or replaced with cheaper ingredients. This cake is made using natural milk, eggs, natural 82% butter, poppy, etc., depending on the filling. You can buy natural composition simtalapis from us. The composition is simple, natural and clear, and the taste is exceptional. Simtalapis – ideal dessert for coffee, so we invite you to do not hesitate and order. You will really praise us. Ask and order. Tel. 869061010 info@kibinaitrakuose.lt, info@kibinaivilniuje.lt.